The starting line-up for the U-19 team which played the seniors overnight in New Caledonia. 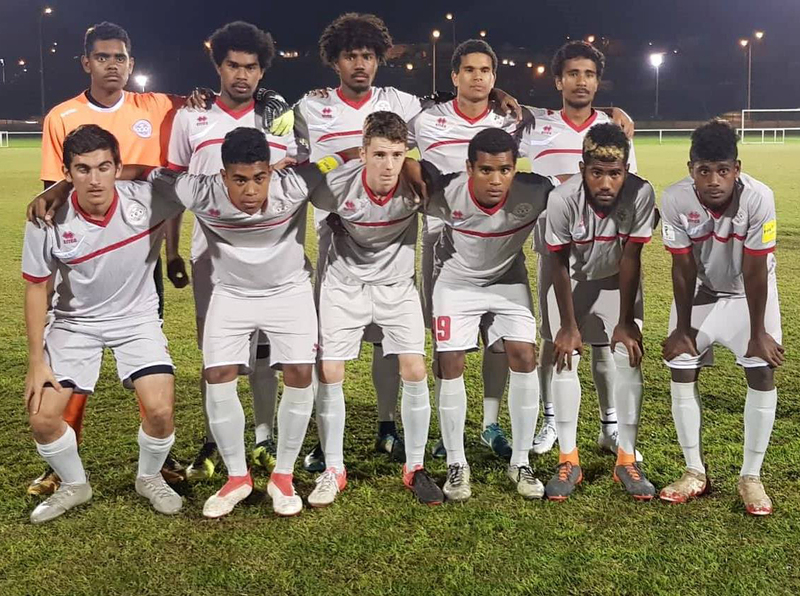 A strong second half has seen the New Caledonia senior team earn a 3-1 victory over the national U-19s in the first of two friendlies last night. That was after the young side, preparing for the upcoming OFC U-19 Championship, took a first half lead through Paul Gope-Fenepej. In a match that was quick to find its rhythm, both sides benefited from possession that led to some great phases. However the experience of the senior players shone through in the second half as they found the equaliser in the 60th minute through captain Roy Kayara. Raphaël Oiremoin and Saké Wathiépel each added one each to extend the lead to 3-1. The two teams will meet again next week for a second friendly match before the U-19s depart for Tahiti on 4 August.